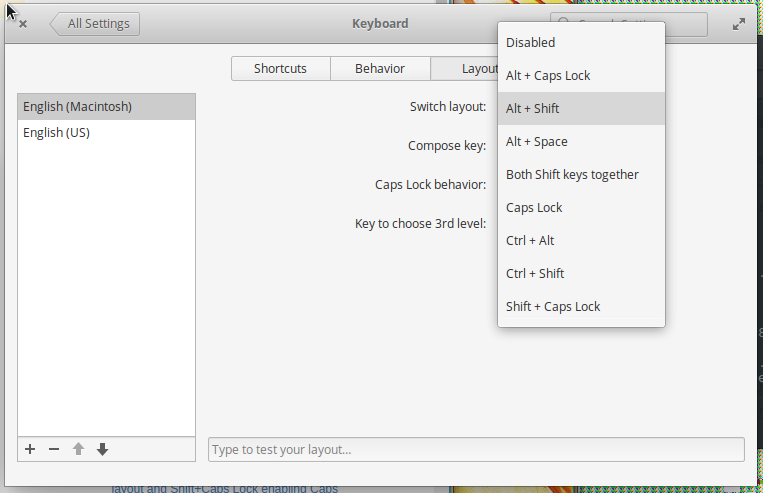 What are my options for switching between keyboard layouts in Loki? It defaults to Opt+Shift in Loki. To change it, go to: Settings > Keyboard pane > Layout subtab > "Switch layout"
Commands like gsettings set org.pantheon.desktop.gala.keybindings switch-input-source "['<Alt>space']" no longer appear to work in Loki. Not the answer you're looking for? Browse other questions tagged release-loki keyboard keyboard-shortcuts or ask your own question. Why is there a difference between Super-Space and other shortcuts? 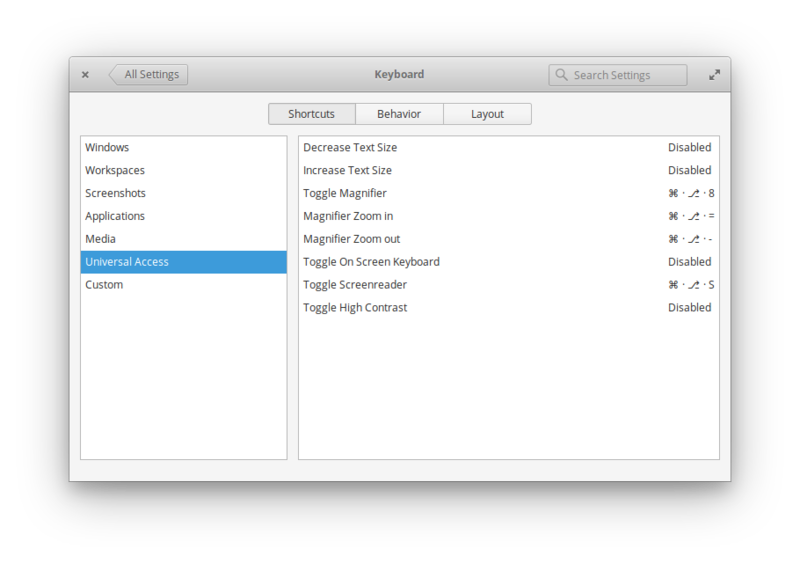 What is the keyboard shortcut to switch between terminal tabs?